Eyakem Gulilat is a Norman-based photographer whose works have been displayed in exhibits nationwide. Photo by Brent Fuchs. 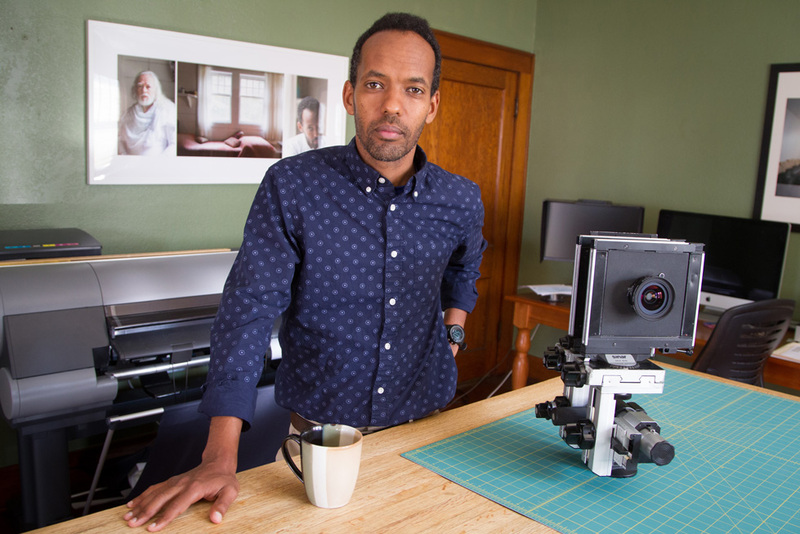 Born in Ethiopia, raised in Austin, Texas, and now a resident of Norman, Eyakem Gulilat has been many places and navigated many life situations. He brings that sense of hybridity to his powerful photography, which examines the intersection of topics charged with meaning: religion, race, ethnic identity. In these photographs, he often uses the physical land of Oklahoma – what he calls a hodgepodge of cultural spaces – as a meeting place for various identities, offering the potent idea that home means not uniformity, but the convergence of difference. “I’m interested in those stories that are not heard … I’m attracted to stories of minorities,” says Gulilat, which helps explain the attraction of the subjects in The Promised Land, where Gulilat photographs residents of Boley, Okla., a town with an unusual makeup. Founded more than a century ago as an African-American community, Boley has retained that composition except for one major flux: In the 1970s, the town saw a wave of Mennonite immigrants who were fleeing unrest in Mexico. Gulilat deftly captures the coexistence of the two groups, a not-quite community of marginalized groups. Gulilat’s most ambitious project to date has raised his profile nationally. His project Collaborative Self caught the interest of the curators at the Crystal Bridges Museum, where it was recently displayed. The project crystallizes Gulilat’s preoccupations into one space. The idea is simple but profound: Gulilat juxtaposes pictures of people of various ethnicities, all wearing traditional Ethiopian clothing, with pictures of himself, held together by photos of the Oklahoma landscape. Gulilat says he was inspired by a desire to tell his own story of his Ethiopian heritage, a background known to most Westerners only through pictures of starvation and deprivation. “I am trying to undo what has been done by this invention of photography,” he says, explaining that he hopes to complicate the often frozen, totalizing images provided in photographs of his native country. This is a desire he continues to explore in his newest project, due to go on exhibit soon in New York City. A Mother’s Prayer pushes this examination of Ethiopian identity even further, showing Gulilat himself recreating scenes from his childhood in Ethiopia, in the wilderness of Oklahoma. 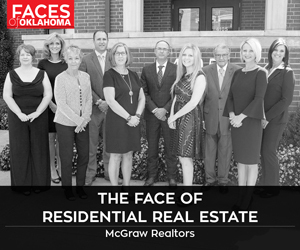 It’s a stunning project, one that highlights the power of the art by one of Oklahoma’s most exciting young artists.